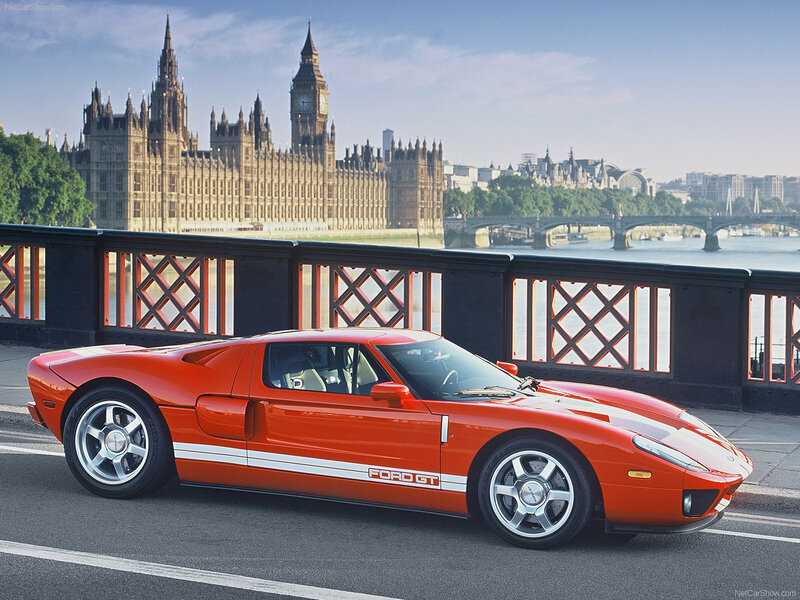 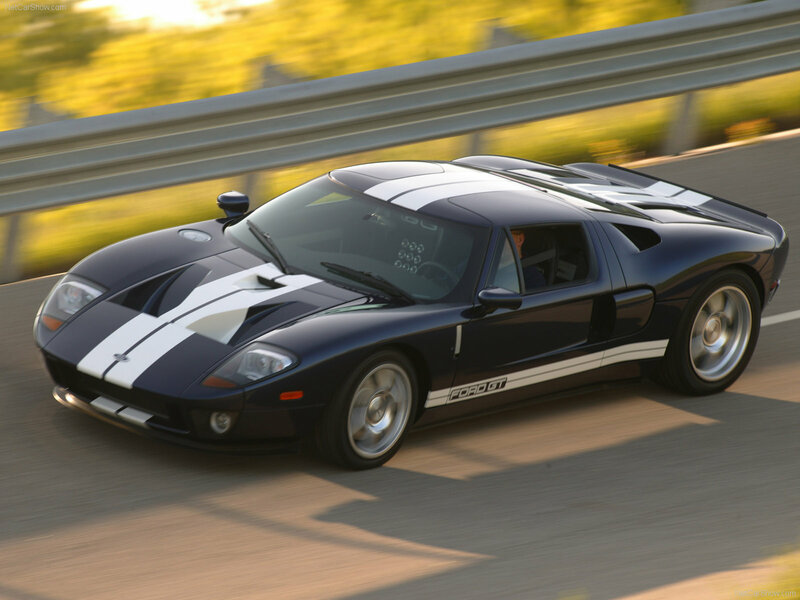 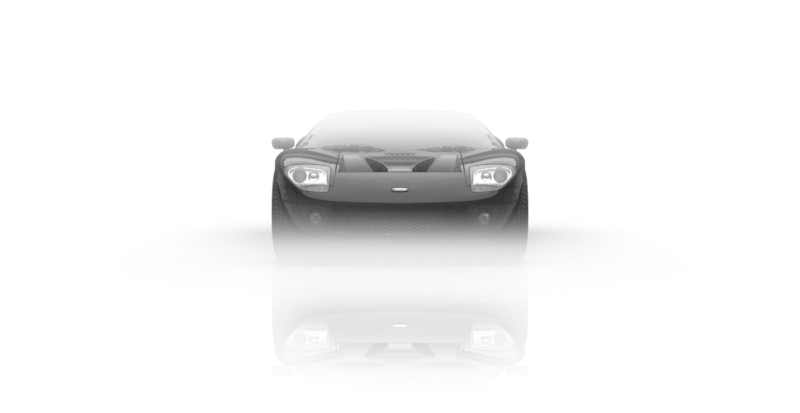 Ford GT - mid-engined sports car manufactured by Ford Motor Company from 2003 to 2006. 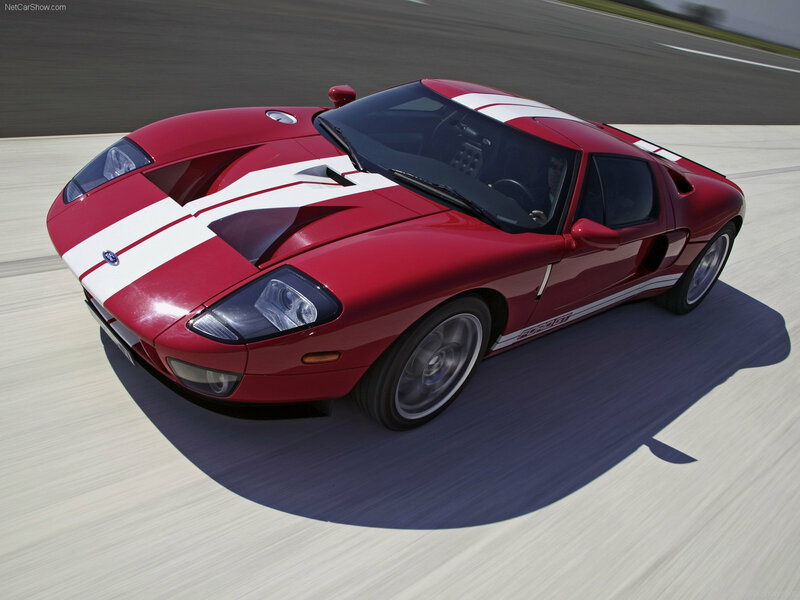 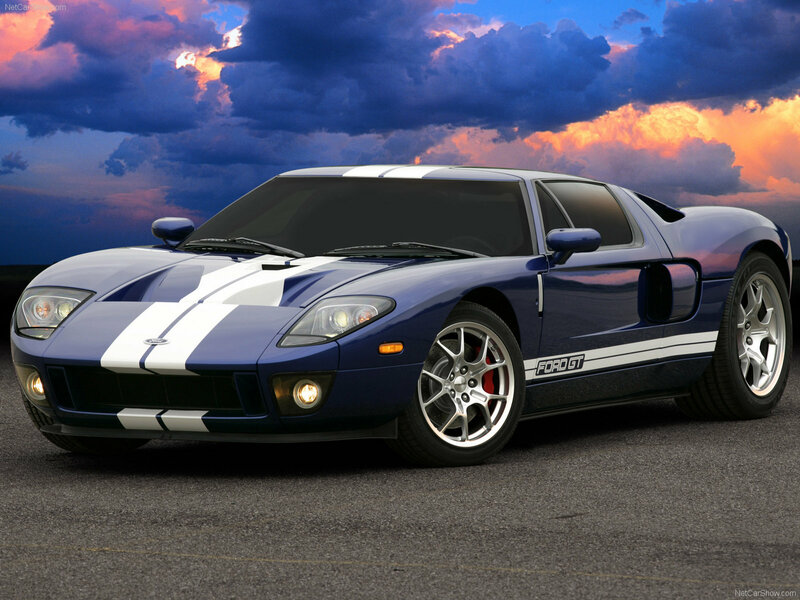 The design was based on classic race car Ford GT40 1960, so the car is sometimes confused with its predecessor. 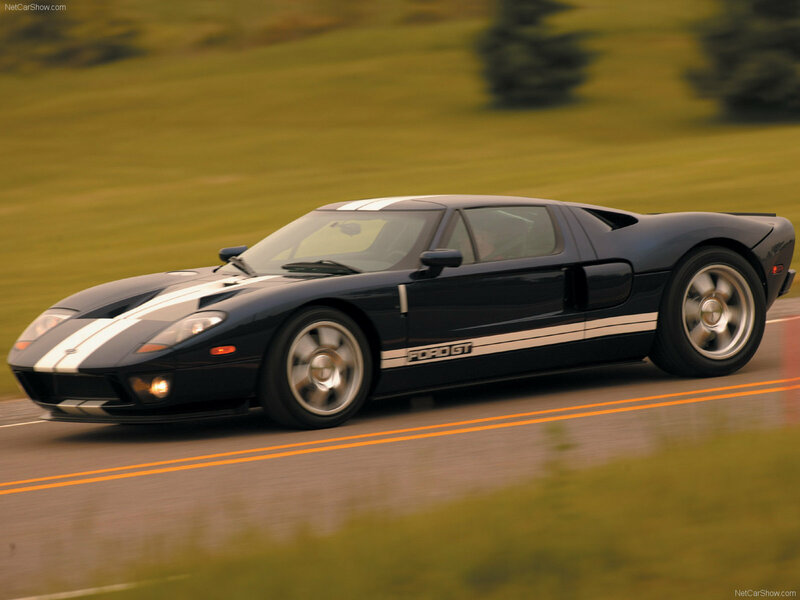 5.4 liter supercharged V8 engine was located in the middle and gave out 550 hp and 680 Nm of torque, with max speed at 330 km/h (electronically limited).